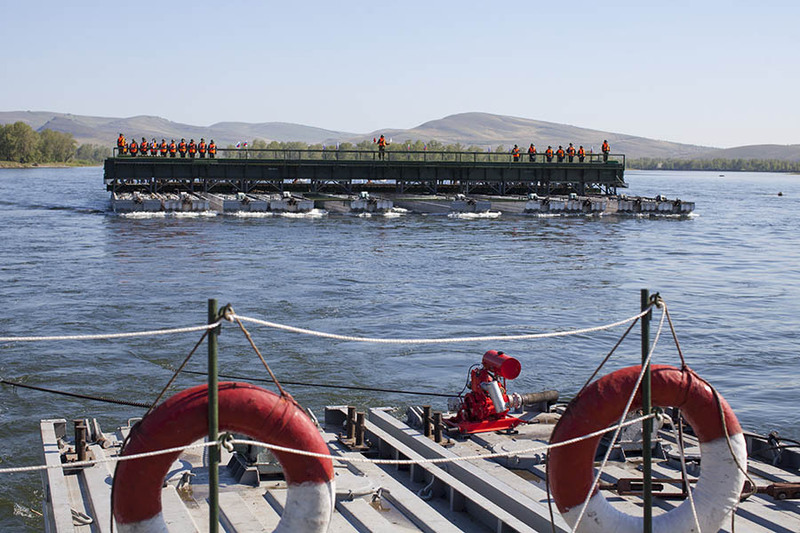 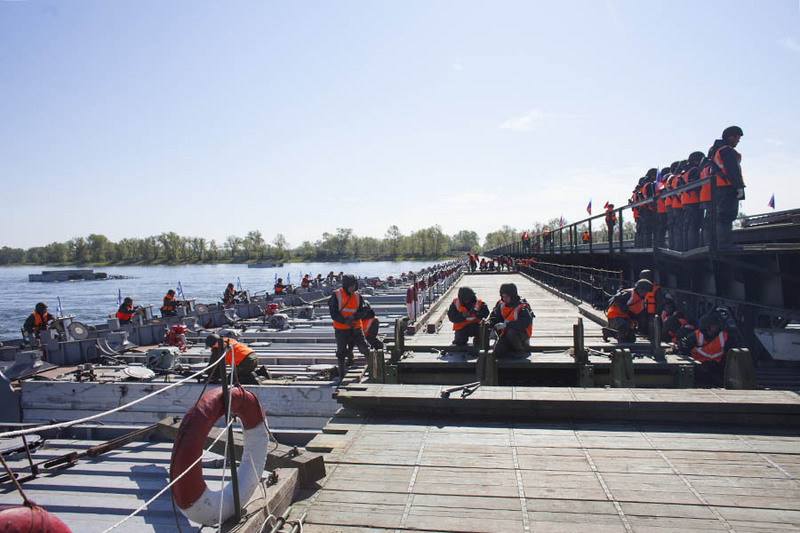 Construction of a NGM-56 floating rail bridge by Russian combat engineers during an exercise in the Altaï region. 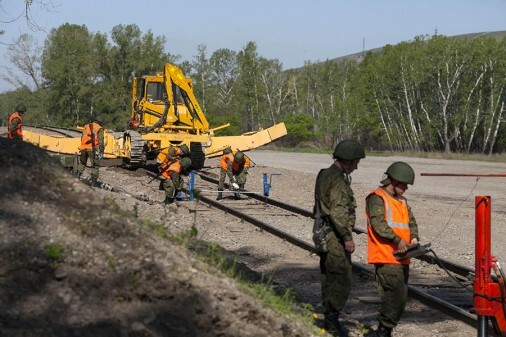 One of the lessons from the Second World War well remembered by the Russian Army is the strategic importance of railways for the rapid movement of large amounts of troops, especially for a country as large as Russia. 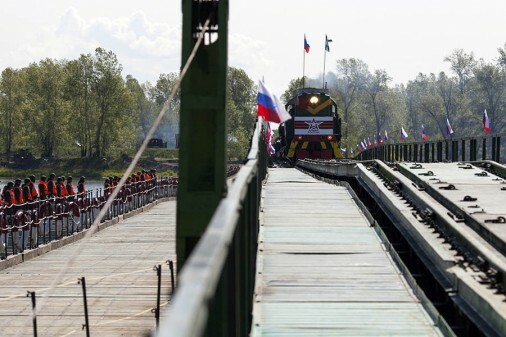 The vulnerable points of a railway are bridges that cross over bodies of water such as rivers. 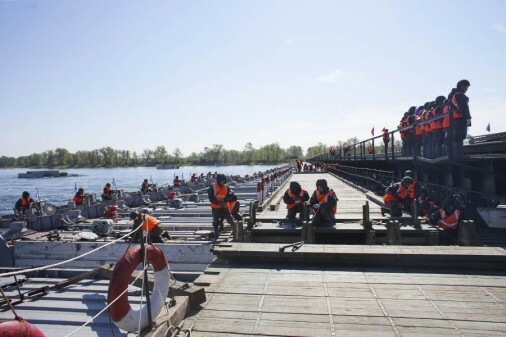 Today, Russian combat engineers have the ability to build a floating bridge capable of crossing trains. 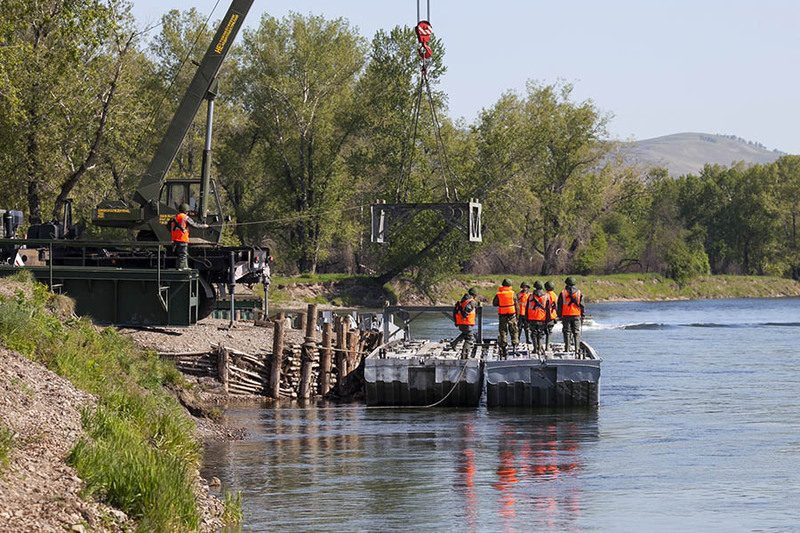 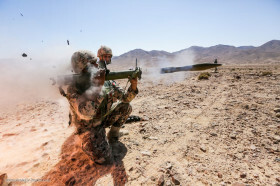 On June 20, 2014 during a training exercise, a NGM-56 rail bridge was deployed in Altaï by combat engineers from the Center military region. 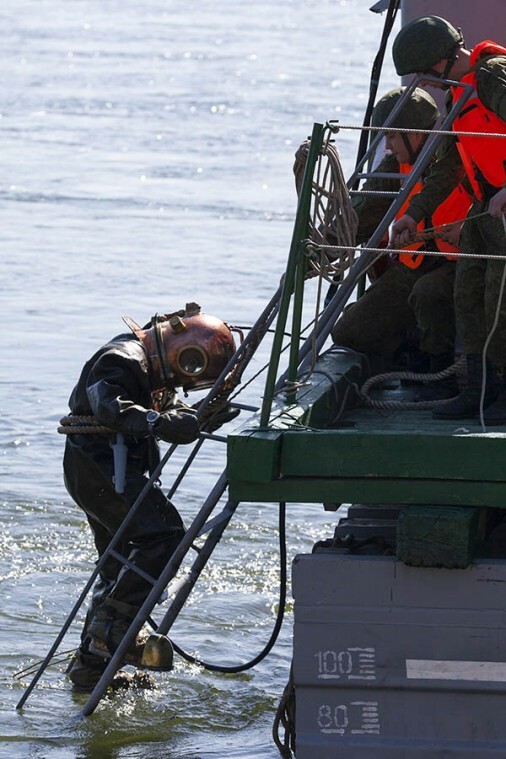 After reconnaissance of the river banks and bottom by divers the floating elements are assembled. 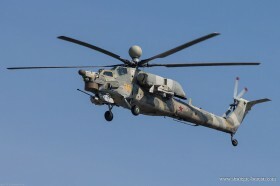 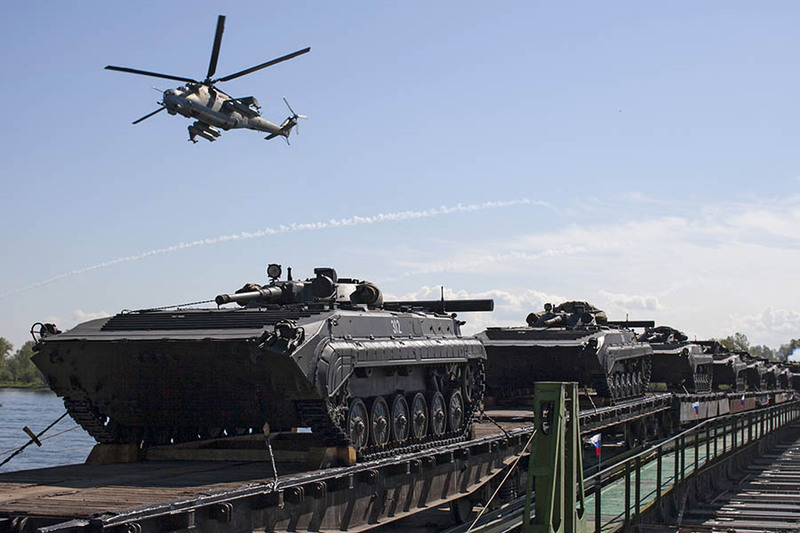 The exercise ended with a successful bridge crossing of a train loaded with BMP-1 armored vehicles under the protection of Mi-24 attack helicopters.